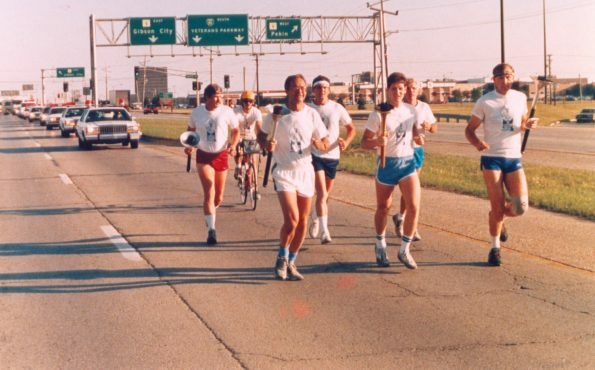 The Torch Run began in Illinois in 1986 with less than 100 runners carrying the torch along five legs: North (starting in South Beloit), South (starting in Cairo), West (starting in Quincy), East (starting in Danville) and the city of Chicago. Illinois’ first Torch Run raised just $14,039.93, but the seed was planted for future growth. The Torch Run raised $500,000 in Illinois in 1997. Illinois easily surpassed the $1 million mark in 2001, reached the $2 million mark in 2006 and the $3 million mark in 2013. Since 2015, the Illinois Torch Run has consistently raised $4 million for the athletes of Special Olympics Illinois. Across the United States, law enforcement officers carry the Special Olympics Torch on intrastate relays, running for a common cause that takes them through blizzards in Alaska, the daunting Florida Everglades, the endless farm land of Illinois, and the deserts of Arizona to bring the torch to the Opening Ceremonies of their state’s Summer Special Olympics Games. The dedication of more than 97,000 police chiefs, police officers, Secret Service and FBI agents, military police, sheriffs, state troopers, prison guards and other law enforcement personnel in 50 states, and 46 nations generate more than $56 million annually and raise huge amounts of awareness for Special Olympics athletes. The numbers are impressive. And the Special Olympics Law Enforcement Torch Run continues to grow. 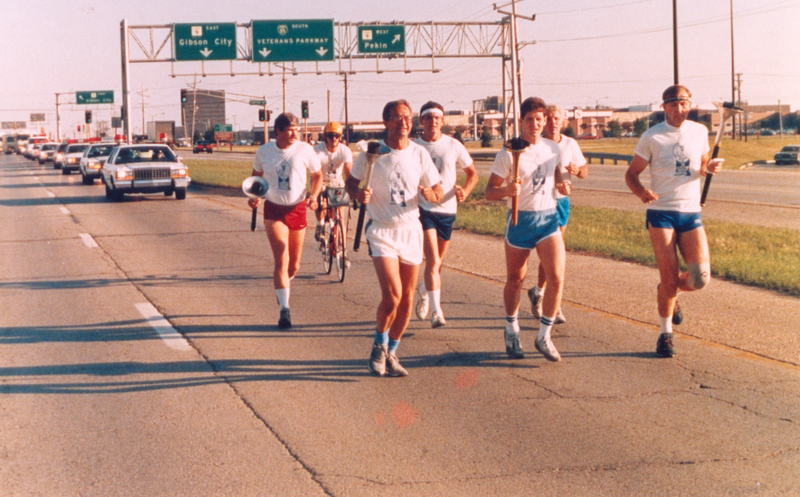 The Torch Run began in 1981, when Wichita Kansas Police Chief Richard LaMunyon saw a need to raise funds for, and awareness of, Kansas Special Olympics. LaMunyon felt that Special Olympics was a fitting cause to unite local law enforcement officers, giving them closer ties to the community and to a very special population. Each individual Torch Run is organized by law enforcement personnel with liaisons from Special Olympics. Law enforcement officers, carrying the Special Olympics Torch, run intervals along a planned route covering most of the state or country to the site of the Opening Ceremonies of the Chapter or International Special Olympics Summer Games. At that time they pass the torch to a Special Olympics athlete and together they run up to the caldron and light it signifying the beginning of the games. Law enforcement officers then become part of the ceremony as an honor guard. After three years of success, LaMunyon presented his highly successful Torch Run program to the International Association of Chiefs of Polices (IACP), whose enthusiastic support enabled the Torch Run to expand to nine states. Two years later, The Good Sam Club, a national organization of recreation vehicle owners, volunteered to provide massive logistical assistance as a National Support Sponsor. The Torch Run grew enthusiastically through increased support of the Adopt-A-Cop program, a donation program built for businesses, service clubs, and schools. The naming in 1988 of Arnold Schwarzenegger as the Official Honorary Chairman served notice that the Torch Run had arrived. As the Torch Run continued to grow, it took on another dimension: International Games Torch Run. In 1987 the sponsors and organizers created the Final Leg – A Torch Run extravaganza in which law enforcement representatives carried the Special Olympics Torch from Chicago, the site of the First International Summer Special Olympics Summer Games in 1968, to the 7th International Summer Special Olympics Games in South Bend, Indiana. Now, every two years there is a special Torch Run leading to the International Summer and International Winter Special Olympics Games (organized in alternating years). These Torch Runs are comprised of runners from every state and participating country.